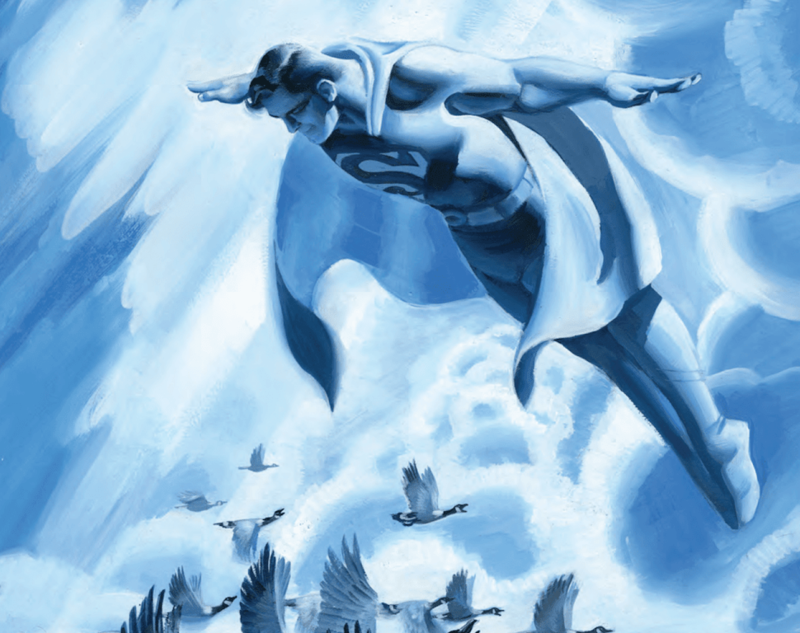 'Action Comics' #1004 review: A romantic and genuine look at Lois and Clark – AiPT! One of the most romantic, and genuinely mature relationship issues of Action Comics, and superhero comics in general ever. Action Comics has really leaned into Clark’s job at the Daily Planet, not only introducing new characters but focusing on the journalism angle of the superhero’s alter-ego. It’s a unique take that Bendis has exploited in a great way, which further develops this issue when Clark’s personal life with Lois literally becomes a story. Aside from Bendis coming in strong with his Superman stories–a great reason to be reading this series–this book is also drawn by Ryan Sook, who lends a very clean, eye-pleasing style. Oh, and Lois and Clark fans need to read this. Their relationship is changed quite a bit here. Customary of this series the issue opens with a snapshot of a workstation, this time Lois Lane’s, whose desk comes with snack wrappers, sticky notes, and other fun details that give readers a fun look at the character in focus. It’s a recurring element that helps set the mood very well. From there, the narrative is really about Clark’s perspective on some gossipy news coming from Trish Perry. This connects to Lois and sets in motion some emotional upset from Clark that drives this issue’s strong story. I won’t spoil a thing, but know that there is a bright light shined on the bond between Lois and Clark. Brian Michael Bendis writes a romantic issue with meaningful moments that are at once mature and emotional. The final page of this issue may just make you shed a tear concerning the love between these characters and in a lot of ways this issue is about their special bond even when faced with a big shift. That shift will be interesting to track going further, but make no mistake Bendis has made it very clear he is not messing with their love. Sook’s art is gorgeous and very clean. Other artists come to mind when reading this, like Yanick Paquette or Adam Hughes, which is good company to be compared to. Sook captures the vulnerability of Superman very well, as well as his sorrow, never letting us lose sight of the emotions of the character. There are also impressive action beats like a gorgeous double-page montage that showcases the sheer amount of do-goodery Superman can do in a flash. I can’t help but shake the feeling Bendis is resetting this character, which is slightly upsetting and ever slightly forced. This is the way of serial storytelling, as writers change things (which is their right to do) — but all that was set up with Lois and Jon is sort of slipping away which is an uneasy thing especially when Clark seems so cool with a change even when in this issue he’s desperately clutching at Lois to not leave him. A strong issue that is not only romantic, but genuine in its approach. Bendis and Sook deliver one of the most romantic, and genuinely mature relationship issues of Action Comics, and superhero comics in general ever.